"The introduction of the 1-800 number changed the way brands approached customer service. In the nearly 50 years since, customer service hasn't changed much, until now. 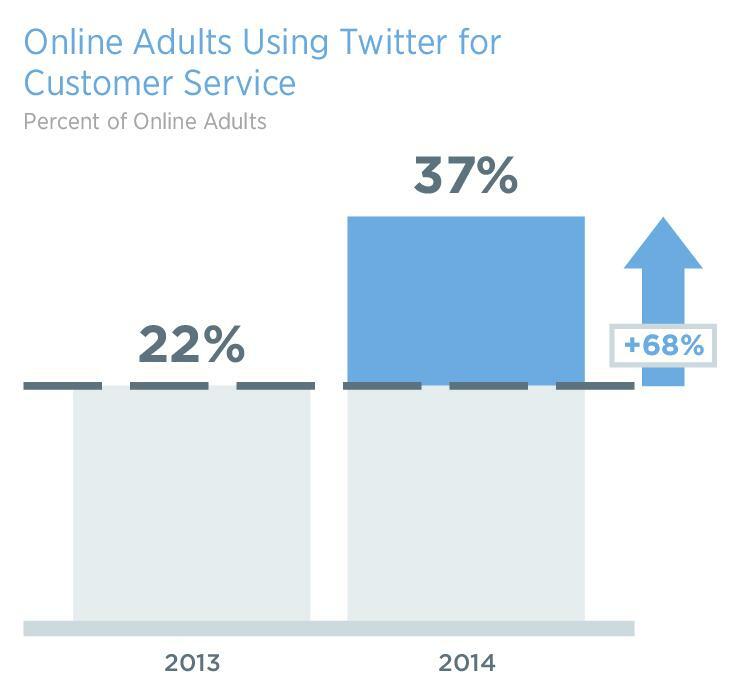 We're in the early days of the next revolution - customer service on Twitter." So goes the pitch from Twitter in a blog post to announce the release of a new 'Customer Service Playbook' for brands looking to utilize the micro-blog platform to better service their audience needs. The 126 page book - directly downloadable without sign-up - details 'how to accelerate impact with customer service on Twitter' through a range of interviews, tips and case studies. Here are some of the highlights. As noted in the introduction to the playbook, according to Social Bakers, more than 80% of customer service requests on social are happening on Twitter, with a more than 2.5X increase in the number of Tweets to brands and their customer service usernames in the past two years. That's a significant trend, and one which the playbook is looking to capitalize upon. The opening section lays out the scene, re-iterating the rising consumer reliance on Twitter as a customer service channel - whether your brand is active on the platform or not. Via the playbook, Twitter is pitching that brands can use social network to improve customer experience and satisfaction, realize significant operational savings and create more service-to-sales opportunities. According to the accompanying documentation, brands that've developed social care capabilities have been able to improve year-over-year revenue per contact "by 18.8% over companies without social customer service". 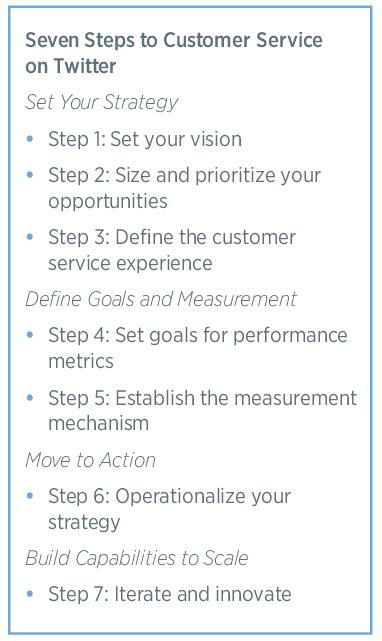 The core of the playbook is a seven step process that brands should follow to maximize Twitter engagement. This approach is underlined with case study examples from Hilton, Best Buy, T Mobile, Comcast and Microsoft. In addition to this, the playbook also lays out an interesting scale of the stages of customer service on Twitter and what each means in terms of brand response. In the first stage, the focus is on direct issue resolution, as demonstrated in these examples. 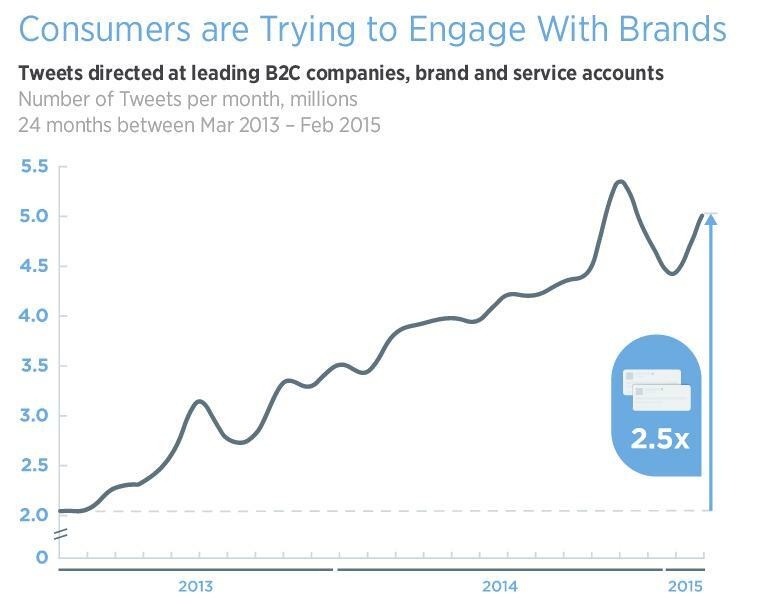 In the second stage, brands seek to proactively provide customers with content and respond to tweets beyond those targeted directly at them. This is an interesting categorization, and one which will no doubt resonate with a lot of companies seeking to better understand how to utilize Twitter for customer service purposes. 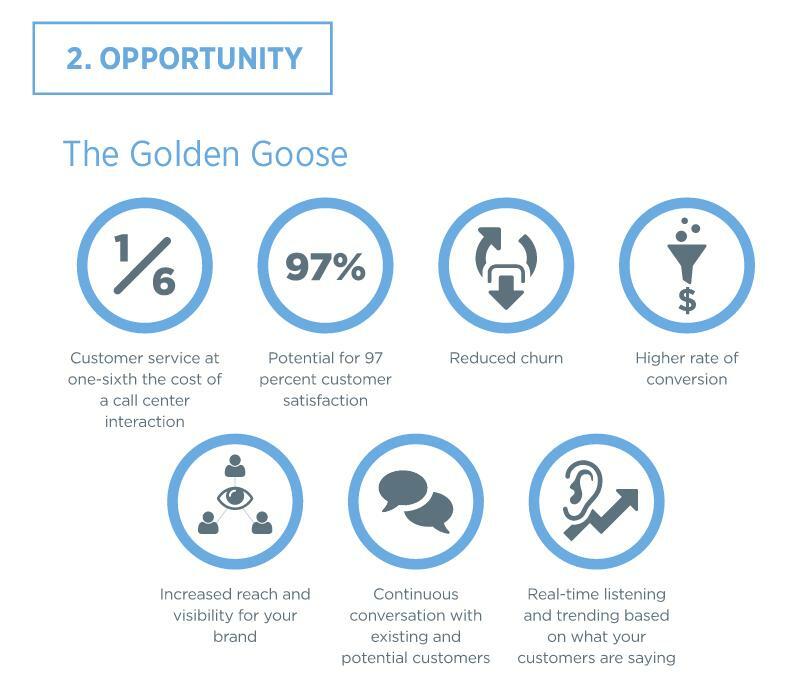 The staged scaling of customer satisfaction suggests that those brands who are able to maximize their listening and outreach are those best positioned to see more positive results from their Twitter efforts, both in terms of customer outcomes and wider reach. While it can be hard to do this - it takes time to establish and action proactive social listening processes on this scale - the matrix Twitter has developed rings true for the research they've conducted. The core focus the playbook aims to highlight is the massive opportunity brands have in using Twitter for customer service. While some of these stats are speculative ("potential for 97% customer satisfaction") the guide aims to highlight how Twitter can be used to meet such aims, and it does so in great detail - possibly a little too much. The latter section, in particular, moves into the specifics of performance metrics and data points, and while the information presented will be more or less relevant on a case-by-case basis, some of it is repetitive and unnecessarily complex. 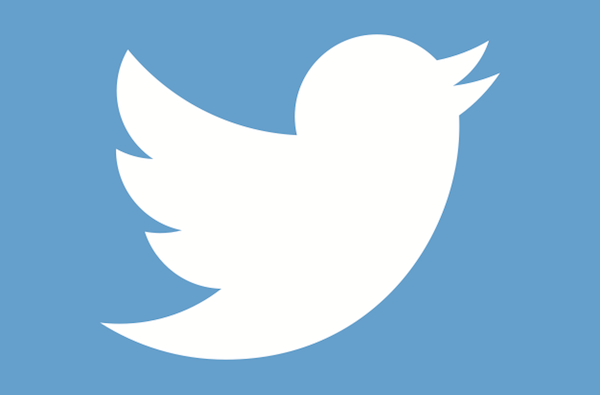 That said, there's some great info and data provided in the guide, and it's definitely worth further investigation for those who want to maximize their understanding of how to use Twitter as a customer service channel - and particularly for those seeking to advise others on how to do so. Make a very compelling case in a simple and easy to present format - and this is just one of the many examples presented which can help showcase Twitter's strengths in this regard. Overall, the guide felt a little too long, but that's not to take away from the quality of the data presented. It definitely is worth a look, and it's great that Twitter has released such an in-depth resource at no obligation or cost. Whether it increases business take up is another question. 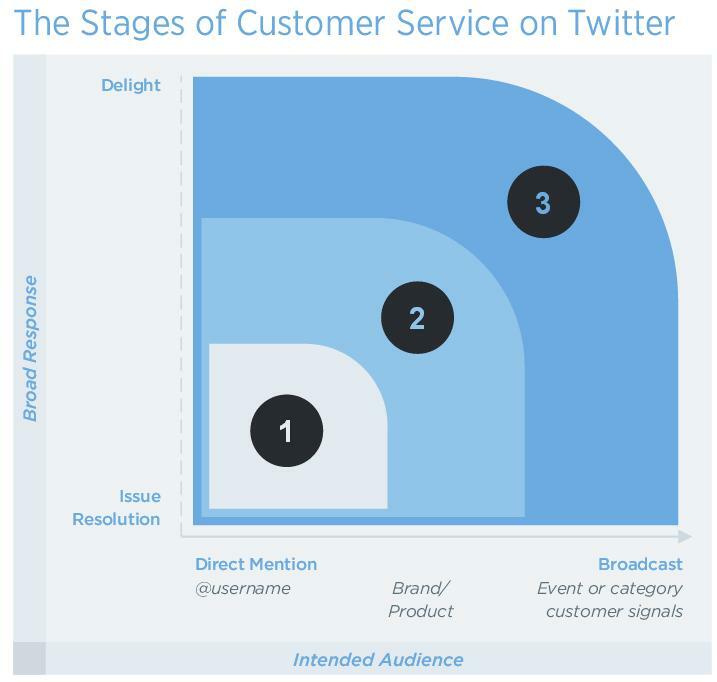 The full Twitter For Customer Service Playbook is available via direct link from this blog post.